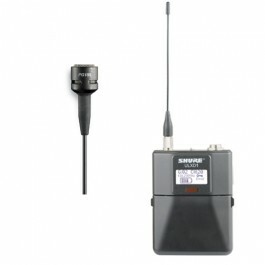 Rent a wireless lavalier microphone and bodypack. Includes Shure ULXD4Q Receiver. The PG185 is an electret condenser microphone for clip-on use with a wireless bodypack transmitter. This rental includes the Shure ULXD4Q Receiver. The ULXD1 is a rugged yet lightweight wireless bodypack transmitter .